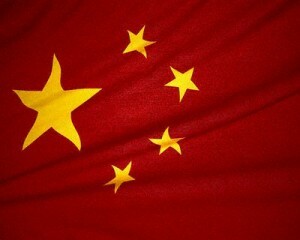 You are at:Home»Featured»China’s “Superior” Economic Model? Does China have a superior economic model? That depends: Superior to what? Really? Pardon my candor, but what planet does Mr. Stern inhabit? For something to be “empirically failing,” it must first exist. Where in America is this supposed extreme “free market” system that Stern disdains? In the United States today, government has largely nationalized the home mortgage market; cartelized the financial system; partially commandeered the auto industry; begun to take over the energy industry; plays the dominant role in the retirement, education, and health care of most Americans; has a leviathan bureaucracy that does everything from shutting down the development of domestic energy, to telling corporations which states they can operate in, to blowing taxpayers’ money on boondoggles. As for the boondoggles, they are both great (ethanol and solar energy) and small ($2.6 million to study whether alcohol increases a Chinese prostitute’s chances of contracting AIDS). First, China’s impressive economic growth rates prove rather than disprove the need for free markets. While China’s leaders dictate certain economic priorities and parameters, and insist upon loyalty to the Communist Party’s political monopoly, they often practice a policy of benign neglect toward provincial and regional entrepreneurs, giving them considerable latitude in a free-wheeling, Wild West scramble to find ways to create as much wealth as they can. A second important lesson from the Chinese, and one that helps to explain why their growth rate is higher than ours, is that we are drowning in debt while they are awash in savings. Before we jump to the conclusion that China’s economic model is the way of the future, we should remember that we have heard similar projections before. In the late 1980s, commentators raved about the Japanese economic model. Predictions abounded that the Japanese economy was so powerful and unstoppable that it would soon surpass our own and be the wealthiest in the world. Like the Chinese state today, the Japanese government worked closely with businesses to forge an industrial policy that (allegedly) would prove far superior to a free-market model. Then the wheels fell off and the bubble burst. Since then, Japan has struggled with economic stagnation and malaise. China, of course, has a much larger population than Japan, and it certainly is possible that it eventually will have the largest GDP in the world, but to the extent that the Chinese government calls the economic shots and tries to pick winners and losers, China runs the risk of ending up like every other country (including our own) that has squelched free markets—broke and stagnant. It is ironic that the former head of a major American labor union is enamored with a political system and economic model in which workers earn low wages and are not represented by independent labor unions. The precarious state of individual rights and liberty in China doesn’t seem a great concern to Andy Stern. Instead, he is eager to sign on to a system which (according to Professor Ralph Reiland in an Investor’s Business Daily commentary) enables the sons of China’s top Communist Party leaders to buy $400,000 Ferraris and $32-million mansions. China’s hard-working people and high savings rate are impelling China’s rapid economic development, and for that China deserves our respect. But the political system of crony capitalism run by the Chinese politburo is antidemocratic and elitist to the core. For Andy Stern to claim that such a model is superior to freedom and free enterprise … well, you can draw your own conclusions.